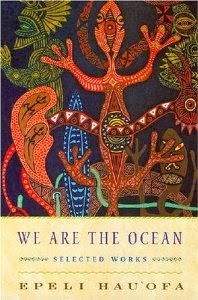 The Ocean that surrounds us is the one physical entity that all of us in Oceania share. It is the inescapable fact of our lives. What we lack is the conscious awareness of it, its implications, and what we could do with it. The potentials are enormous, exciting -- as they have always been. When our leaders and planners say that our future lies in the sea, they are thinking only in economic terms: about marine and seabed resources and their development. When people talk of the importance of the oceans for the continuity of life on Earth, they are making scientific statements, But for us in Oceania, the sea defines us, what we are and have always been. As the great Caribbean poet Derek Walcott put it, the sea is history. Recognition of this could be the beginning of a very important chapter in our history. We could open it as we enter the third millennium.